Wildlife encounters while fly fishing are quite common. What makes the sport so unbelievably wonderful is the unpredictable nature of the great outdoors. In this episode, we tell a few yarns about running into a wolf, a herd of bison, and other animals while fly fishing America’s great rivers and streams. Listen to Wildlife Encounters While Fly Fishing. Do you have any strange encounters of the wildlife kind while fly fishing? Please post them below. Haha! Where’s the respect for your older brother? What did I ever do to you? Okay, never mind! 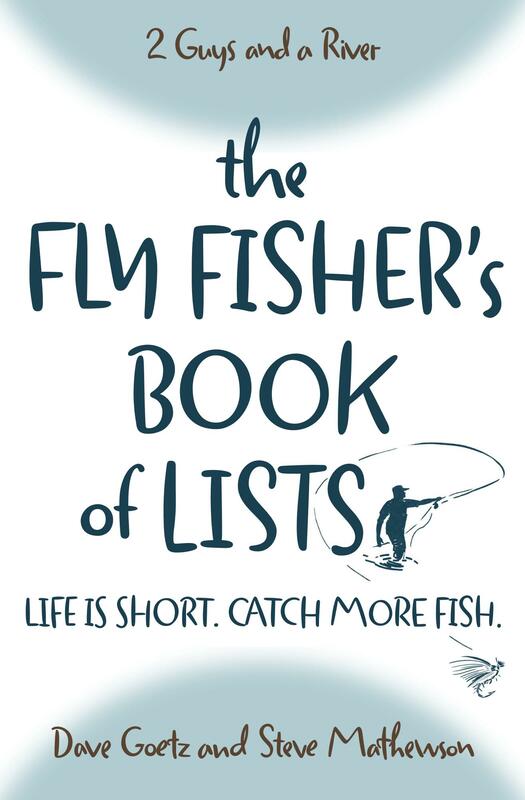 When will you, Steve, publish the fly-fishing book? I saw Mark McIntosh recently, too. Good question! Alot of the material will show up in these blog posts. Dave (the other of the “Two Guys”) and I might collaborate on something together … perhaps an ebook or a series of ebooks. Thanks for asking. Glad you saw Mark. I hope he is doing well. He’s a fine fly fisher. I am committed to staying (or getting) in shape, so as to outrun the Elder. You guys live on the edge . Lol . The only animal’s I have encountered a herd of cows , Moutain lion , a few snakes but the one that set my legs in a full out sprint an alligator. I was fly fishing for bass down in South Georgia when all of a sudden this gator comes crashing out of the bushes to my right . I shamefully admit I screamed like a little girl and ran through the woods nearly beating myself to death not knowing if the gator was still behind me. Thank God it wasnt .